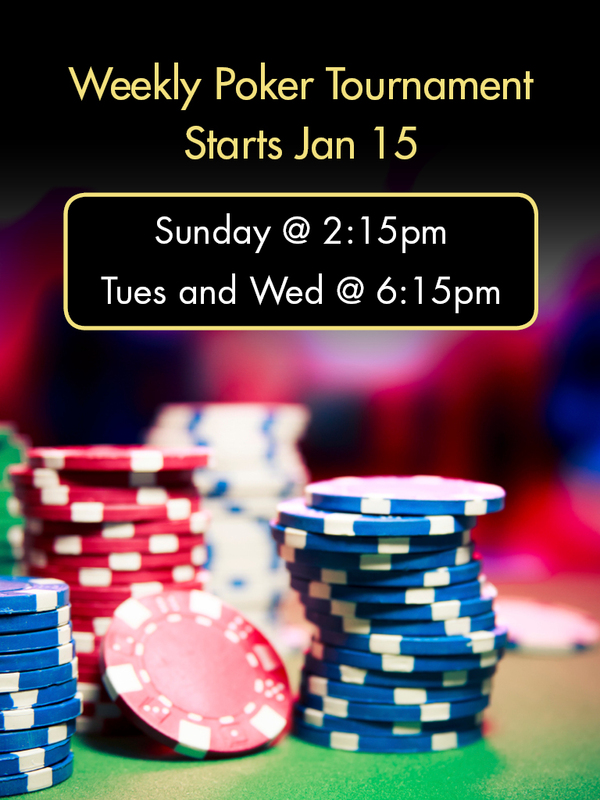 Our weekly poker tournament will start on January 15th (Tuesday) at 6:15pm. The tournament schedule is as follows: Sunday @ 2:15pm, Tuesday and Wednesday @ 6:15pm. The buy-in amount is $60 for all the tournaments with 10,000 in starting chips.